“Things are quite different here,” Jack Black tells his young nephew in the first trailer for The House With a Clock in Its Walls. That’s a bit of an understatement. 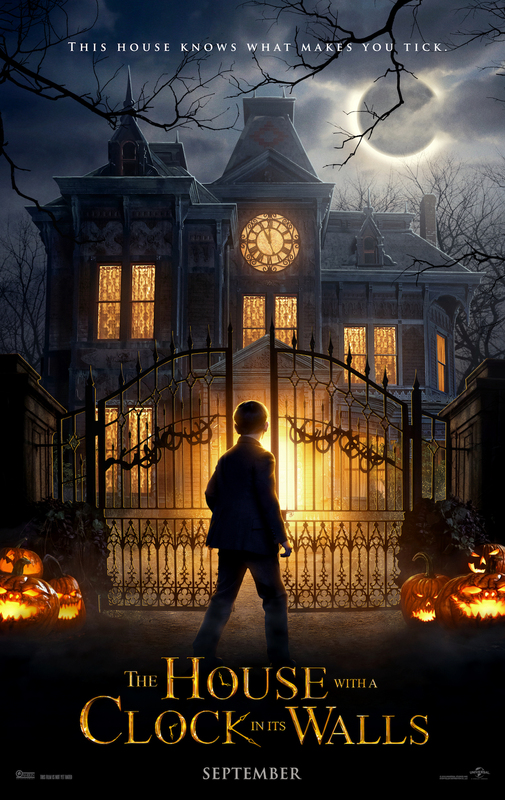 Based on the 1973 children’s gothic horror novel of the same name, The House With a Clock in Its Walls follows orphan Lewis Barnavelt (Owen Vaccaro, Daddy’s Home), who comes to live with his uncle, Jonathan Barnavelt (Black), in Michigan after his parents die. His uncle, along with his best friend and neighbor Mrs. Florence Zimmerman (two-time Academy Award winner Cate Blanchett), recruit Lewis to help locate a missing clock with the power to destroy the world that is believed to have been hidden in the house. Actor and horror director Eli Roth (Hostel, The Green Inferno) directs the film for Amblin Entertainment and Universal Pictures. The film costars Kyle MacLachlan (Twin Peaks) as the evil wizard Isaac Izard, along with Coleen Camp (Clue), Renee Elise Goldsberry (Altered Carbon), Vanessa Anne Williams (Dynasty) and Sunny Suljic (The Killing of a Sacred Deer). Enjoy the bizarre trailer and check out the fantastical poster below. You can listen for the ticking on Sept. 21 in theaters nationwide.